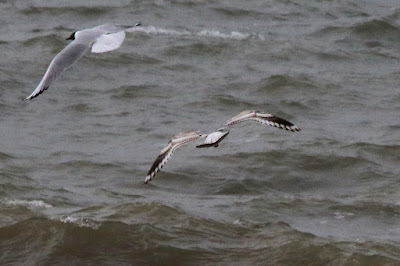 A generally quiet day on both land and sea. The first Sand Martin of the year was seen along with a Swallow, two Firecrests, 11 Chiffchaffs, three Song Thrushes, four Wheatears and a Siskin. 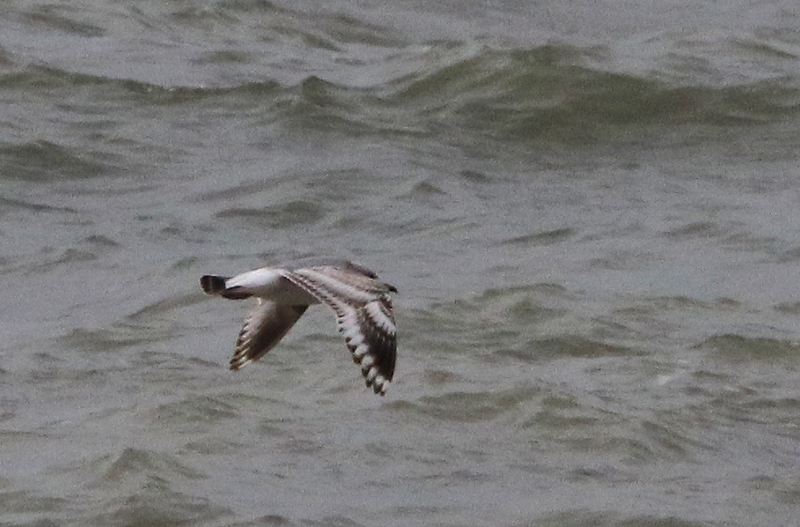 The best of the seawatching were just six Pintails, five Velvet Scoters and 100 Red-throated Divers. 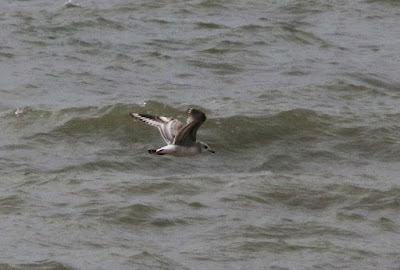 The two Iceland Gulls and two Mediterranean Gulls were feeding at the Patch again but the most striking bird there was this aberrant first-winter Common Gull. 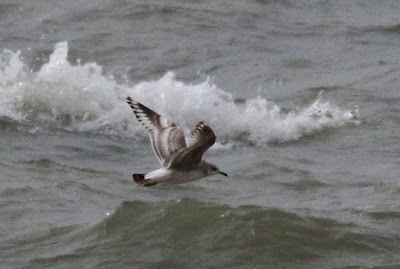 Some ppor quality shots taken at long range in poor light over the Patch but they do show how distinctive this individual was. 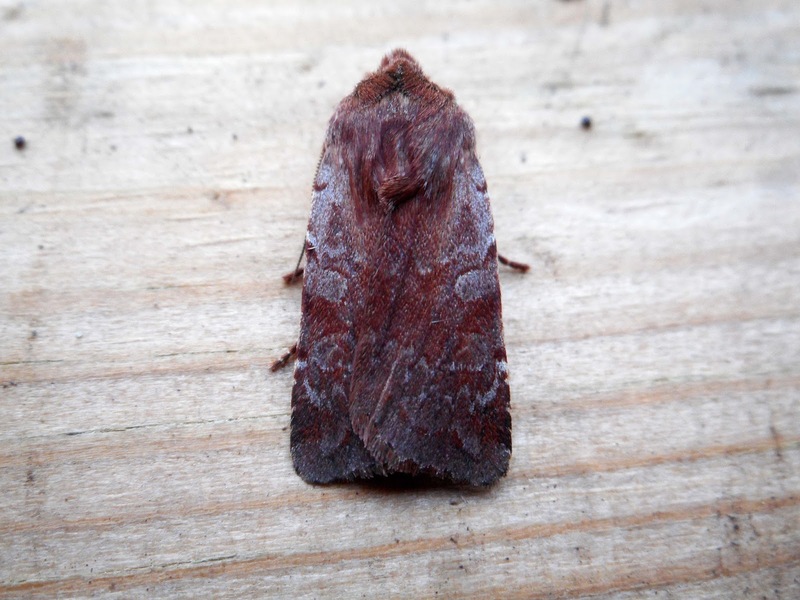 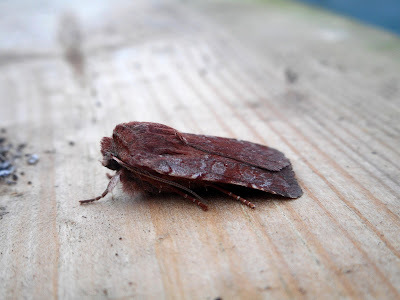 A handful of moths trapped overnight included this Red Chestnut. A Hummingbird Hawk-moth also made a brief appearance in the Observatory garden.